MMR cuts through mold stains instantly. No scrubbing, sanding or blasting - check it out! 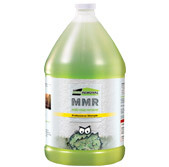 MMR mold stain remover. Best Seller! Description: MMR is the industry's most reliable product for easily removing mold stains from building materials such as the wood found in attics and crawl spaces - along with numerous other surfaces including concrete, cinder block, hardiboard and vinyl siding. The MMR application process reduces labor, lowering expenses and increasing profits. Quantities: MMR is a ready-to-use-product (RTU), available in 1g and 5g quantities. Price: MMR is available at a discounted price of $29.99/g. Description: Shockwave is an EPA registered, quaternary ammonium chloride cleaner, disinfectant and sanitizer designed for use as part of a complete mold remediation project. Shockwave is a concentrated formula that will disinfect hard, non-porous surfaces and also sanitizes porous and semi-porous surfaces. Quantities: Shockwave dilutes 2 ounces per gallon of water. Available in 1g and 10 oz. bottles. Price: Discount prices on Shockwave are $39.00/g or $17.99 per 10 ounce bottle. Description: MPI antimicrobial is an EPA-registered antimicrobial designed to inhibit growth of bacteria, mold, mildew, fungus and algae. MPI acts as a permanent static agent, designed to prevent growth or re-growth of microorganisms. It can be applied to most finished and unfinished building materials. Approved for use in homes, schools, hospitals, daycare, etc. Quantities: MPI is a concentrate product, designed for dilution, available in 1g bottles. Price: MPI is available at a discounted price of $196.50 per concentrate gallon. Description: HydroKlenz is a non-residue forming cleaner that uses the power of oxygen to remediate, clean and restore surfaces. It can be used for source removal, deodorization, organic stain removal and surface prep in mold remediation, fire, sewage, Category 2 and 3 water loses, trauma, post-mortem and crime scene clean-up projects. Quantities: A super concentrate, wettable powder that dilutes between 1% - 10%, in 1g bottles. 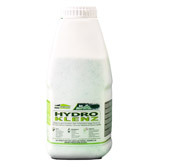 Price: HydroKlenz discounts for $64.00/g, equating to an RTU price as low as $3.30/g. 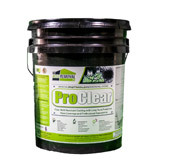 Description: ProClear is a clear, mold resistant coating for the protection of most building materials in post-remedial, existing and new construction applications. A combination of acrylic-based technology coupled with a non-leaching antimicrobial, ProClear produces a stain-resistant, washable surface that prevents mold/algae/bacterial growth on the coating surface. Quantities: ProClear is a ready-to-use-product (RTU), available in 5g pails. Price: ProClear discounts for $217.00 per 5g pail. 3M™ 6000 Series Full Face Respirator. Great Price! Description: The 3M™ 6000 Series Full Face Respirator incorporates the 3M™ Bayonet Filter Fixing System, enabling a wide range of 3M™ filters to simply click into place. 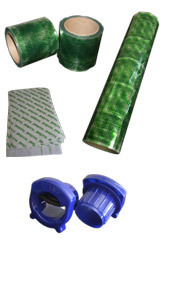 These versatile systems are suitable for many situations, providing filtering protection against particulates and a wide variety of gases and vapor. Price: Discounted price of $99.00. Available in S, M & L, this respirator includes a set of 6003/07047 Organic Vapor/Acid Gas cartridges. 3M™ 6003/07047 Organic Vapor/Acid Gas Cartridge set. Description: The 3M™ 6003/07047 Organic Vapor/Acid Gas Cartridge set, when properly fitted, helps provide respiratory protection against certain organic vapors and acid gases. NIOSH approved. Swept-back design for enhanced field of view and balance. Price: Discounts for $11.99, includes 2 cartridges per set. Description: The Kleenguard A40 liquid and particle protection coveralls are an excellent replacement for TYVEK®. Keep yourself and your clothes clean and safe with these protective coveralls with a better liquid barrier, better particulate barrier and lower lint. Meets ANSI/SEA 101-1996 sizing standard and passes NFPA 99 criteria for antistatic materials. L, XL, 2XL & 4XL. Price: Suits sell individually for $15.00. Negotiated discounts available on case orders. Price: Suits sell individually for $19.00. Negotiated discounts available on case orders. Description: Make the application of MMR mold stain remover easier with this field tested powered pump sprayer. A Shurlfo pump powers 1.8 gallons per minute through the functional spray wand. The sprayer was designed to better-withstand the chemical nature of MMR. This system has been used for years by Mold Solutions, the largest and longest-standing MMR user. Price: Discounted price of $389.00. Requires a 12V battery, which is not included. Description: The 7807 fogger, hose and wand is an ideal tool for the application of biocides, disinfectants and antimicrobials. This item features a hose and 16" wand for on-target output or spot fogging, and a one-turn valve to adjust droplet size. The powerful blower discharges 30 cubic/feet per minute. Price: Discounted price of $529.98. Description: MoldHold was designed as a "first response" source containment tool. Stopping the spread of airborne mold spores, MoldHold just rolls on top of visible mold. If it can't get airborne, it is less likely to cause personal physical problems or further contaminate surfaces and structures. 4"x50' rolls. Discount price of $50.00/roll. 18"x50' rolls. Discount price of $216/roll. 12"x18" sheets. Discount price of $5.15/sheet. Easy Grip handles. Discount price of $7.58/handle.